Kristin Kurtz is a longevity and wellness consultant/coach based in Santa Fe, New Mexico. She is passionate about creating wellness programs for her clients using the most effective, science-based solutions to address the core issues that diminish our health and well-being. Kristin deeply engages with each of her clients in order to design a program that meets their unique circumstances and goals for improving their vitality and living optimally. 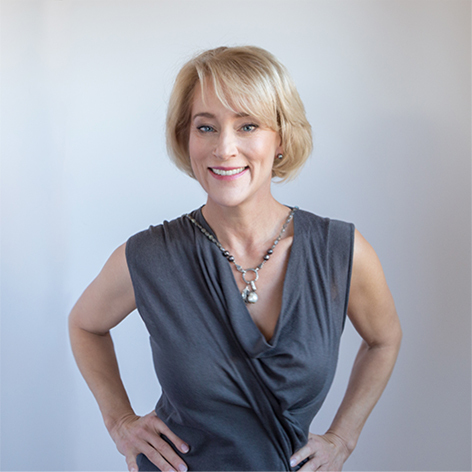 Kristin is a certified Health and Wellness Coach through Wellcoaches, considered the gold standard of coaching certification programs, and is an expert facilitator of mindset and behavior change to generate a healthy lifestyle. She is also a licensed HeartMath coach and trainer and uses the latest research and technology to reduce the negative impact of stress and increase one’s resilience and performance. She is an active member of the American Academy of Anti-Aging Medicine and incorporates the latest approaches to improve health and vitality while slowing down the aging process, including nutrition, supplements, exercise, energy technologies and mind-body healing approaches. Kristin also has significant experience working with groups and organizations on health and wellness issues. She has consulted with a wide range of clients, including small and mid-size businesses, Fortune 50 companies, state and local governments and non-profit entities to improve the health and vitality of their employees as well as reduce their health care expenditures. In her work with organizations, she specializes in the areas of stress management, optimal performance and job satisfaction, as well as disease prevention and wellness. She enjoys hiking, skiing, dancing, yoga and Pilates. Learning is a passion, and one of her goals is to obtain a doctorate in Natural Medicine. She is also a life skills coach for First Serve, a national organization that teaches public school kids how to excel in life, academics and sports.